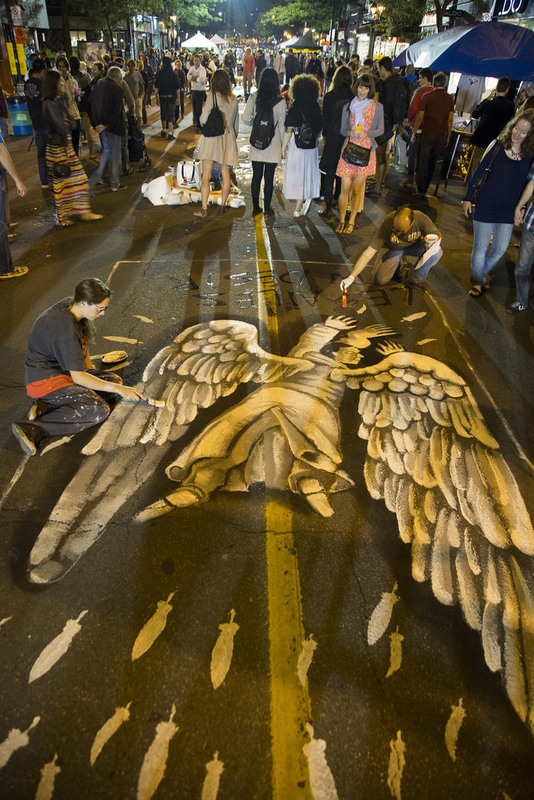 The 20th edition of the happening Nuit Blanche sur Tableau Noir will take on Mont-Royal Avenue from August 27th to 30th. 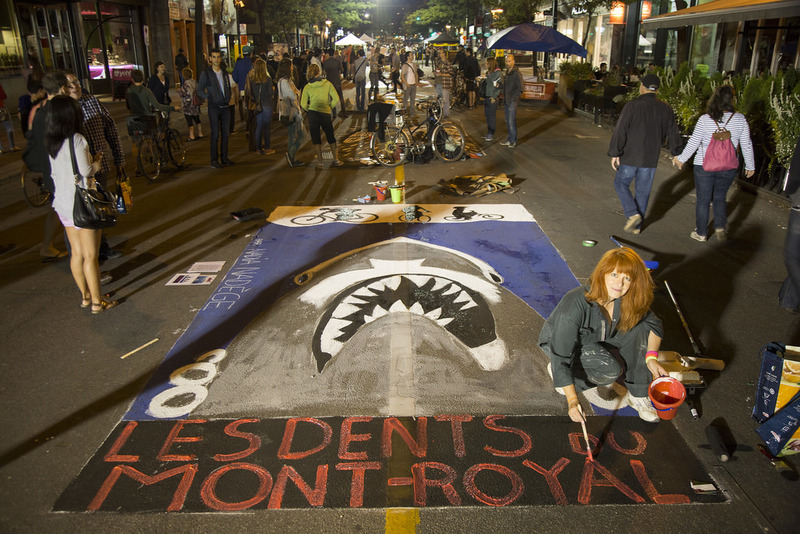 Under the creativeness of artists of various disciplines, public spaces – bitumen, park, public square, shops and intersections, the event will take the form of a large-scale urban playground. 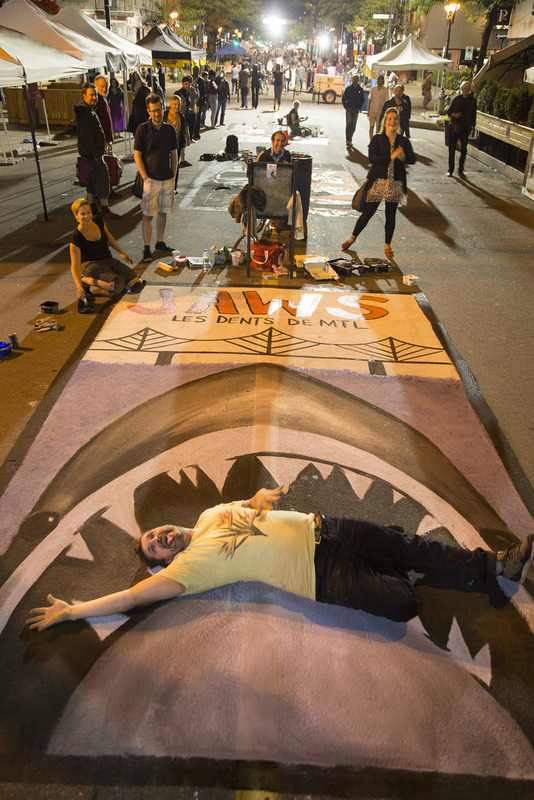 Art and games will combine: paint on asphalt, urban mini-golf created by Massiv’art, larger than life games, friendly competitions, literary raffle and many other activities are on the menu. In addition, a full tone music programming, including Misteur Valaire who will unfold on stage facing the Mont-Royal metro on Thursday evening. 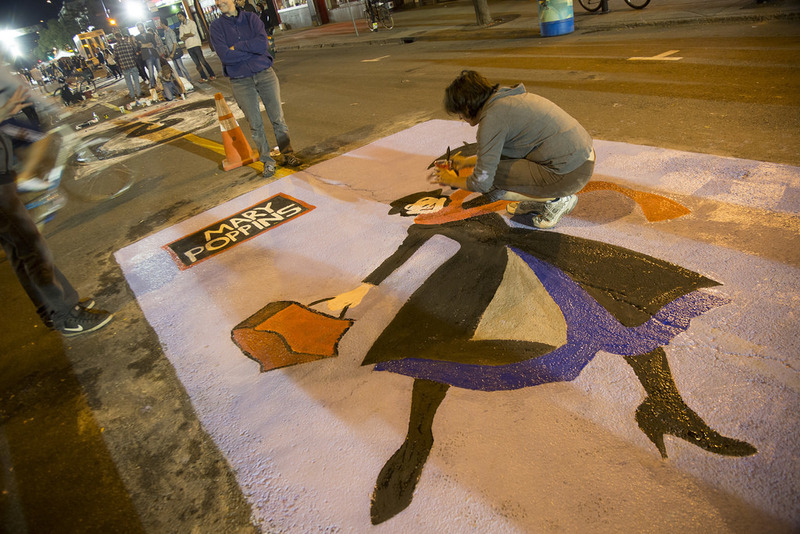 The event Nuit Blanche sur Tableau Noir was founded in 1995 by Michel Depatie with the goal of implementing art in the city and especially in the public space. The desire to reach new audiences made of this event a forerunner in regard to the notions of cultural mediation. 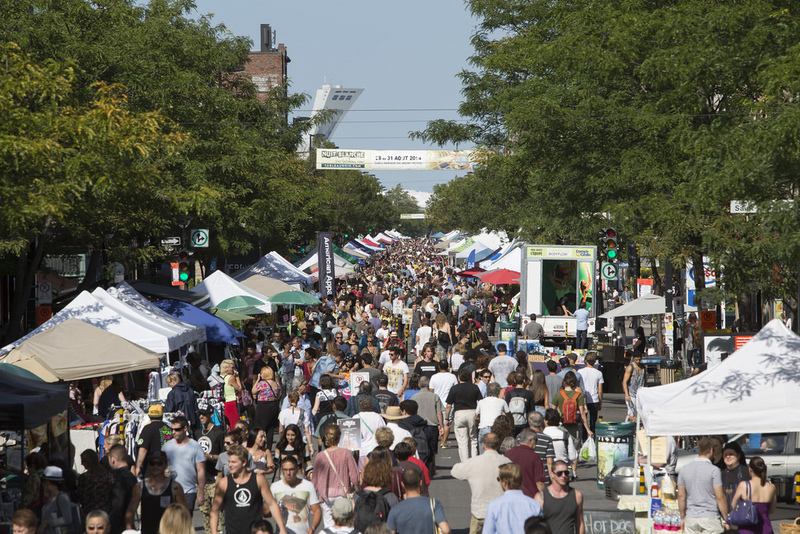 This event supported by the Avenue Development Corporation business community of Mount Royal was betting heavily on twinning business-arts to revitalize the business. It opened the way for the transformation of traditional trade fairs to quality cultural activity. Michel Depatie assumed the artistic direction of the event from 1995-2013.